It's Friday.... so we thought we'd pick a hot button topic -- just to get everyone revved up for the weekend. Then, there are those who have turned to the alternatives. You've decided to pursue small publisher with or without success. Or you've decided to take the plunge and self-publish your work with or without success. And then, there's the rest of you. The rest of you who are on the sidelines, trying to determine WHAT THE HECK are you supposed to do... ? Nothing is ever black or white, but for the sake of a good Friday discussion, we'll pose the following scenarios in which you should make the leap and attempt to self-publish your own work versus keep trekking along the agent route, hoping to score a traditional book deal. But we know that everyone has a different story to tell on this front and we hope that the community will chime in about what decisions they've made or feel free to chime in if you're stuck at the cross-roads. NOTE: for the sake of this discussion, self-publish mainly means digitally publishing your books as ebooks on Amazon and through all the other major and alternative distribution venues. 1. You should go indie and self-publish your book if you are extremely prolific and can crank out a new book every 4 months. What is striking to us about the successful indie authors is that they are usually the most prolific ones. Anyone who has written a book knows how hard it is to start the book, stick with, and finally finish a 200-300 page storyline much less edit, re-edit, and edit some more. So if you happen to be one of those rare writers who can crank out books like cupcakes... you should definitely consider self-publishing. Traditional publishers have a much longer lead time for every book that they publish. Yes, there's a ton of quality control, and supposedly, more PR/marketing/adverting planning for each book. But there a lot of "downtime" too. A whole to of downtime. That said, there's a goldrush happening in the ebook world right now, and authors who are releasing new books every 3-5 months are cashing in. They're building a name and platform faster than you can say "blink", and in this day and age, faster, cheaper, and on-demand gives you a competitive edge. 2. You have already written three books in a series, and now you're being told by agents and/or publishers that they don't even want the first book. Don't give up and don't wait to write something more "marketable" for agents and/or the traditional publishing world. Go indie and go indie now... You can make your first book in the series permanently free on Amazon (through some wily tricks) and the first free book in the series will lead readers to your second and third book. Unfortunately, there's really no more time to waste on this front. This strategy is now becoming overused and free books in a series aren't generating the magical sales that they used to be on Amazon because EVERYONE is offering something for free nowadays. So the time to try is now. 3. You write traditional fantasy and agents are telling you that no one is buying fantasy anymore. Wrong. Go indie. The traditional fantasy market has shifted to ebooks. Books about dragons sell and sell well -- but they sell online and at $0.99. 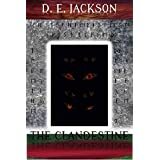 Sorcery, wizards, elves, magical lands, middle earths... readers are still reading and buying it. They're just buying it for cheaper prices online. So don't be discouraged or dissuaded. Simply change directions and take your fair maidens, magical potions and warlocks who want to kidnap them to the mythical digital world of online publishing. 4. You write for Teens. Not "New Adult" romance or YA that secretly is meant for adults. But you write for teens. Then, we really still believe the better choice is to go traditional publishing. Yes, you can go indie with teen books. But we do have stats and research data that suggest that free books in the teen categories on Amazon get a tiny fraction of the downloads that say... successful mysteries, suspense/thrillers or romance books receive. We're talking 30-60 free downloads per day versus 800-1000 free downloads per day. Also, if you read a lot of the reviews of many of the teen titles, you'll notice that parents are buying these books first and screening them to see if they're a good fit for their kids. That tells you a lot about the YA market -- in many cases, you're not marketing directly to your fans. You're marketing to their parents. YA and MG continue to be hot genres within the agent and publishing industry. So we recommend exhausting all the avenues BEFORE giving up too early -- especially if you're a voracious readers of the genre and truly believe that you could crank out something saleable as a writer. 5. Your book is languishing in a drawer because you've queried everyone there is to query, you got a bunch of nice rejections to show for it, and now you've given up. Go indie. That book deserves to be read by someone. It's polished. It's presentable. It's likely fairly good. There's no reason why it shouldn't be out in the world. 6. You write in multiple genres. If you love writing both erotica and cozy mysteries plus sometimes you dabble in a little literary fiction when you're feeling tragically poetic, then you should definitely turn to indie publishing. No agent wants to hear that you're writing anything other than something they can sell. And preferably, agents want you to crank out something similar to the first book that they loved from you in the first place. They don't want you to be "creative" or for you to "branch-out". They want you to be productive and to do the same thing--again and again. In the indie world, you can juggle multiple pen names and multiple genres as well as you actually can write them. And one of the interesting things about doing so... it really gives you a macro-perspective on the whole indie game because you gain experience from so many genre angles. 7. If you're a little bit of a masochist, and you actually think the whole agent game is sort of fun.... BUT you hate, hate, hate, the waiting game, then you should really consider turning to indie self-publishing. Digging up new opportunities, learning how the game works, networking with others in the same trenches, and hoping every new day brings something good and expected into your in-box is exactly the same when you're indie publishing. The only difference is that there's no waiting and you actually will have readers reading your work instead of agents and editors. Only you can consider when and whether this trade-off--readers versus potential agents/editors--is worth it to you, but the last thing that should dissuade you is the amount of "work" involved in self-publishing. The same energy you're channeling into the agent-hunting game is exactly the same energy you'll spend publishing your own work. The pay-off is simply different, but often no less rewarding. Even though I'm happy with where I'm at right now—and very glad I stuck it out rather than self-publishing the couple times I really considered it—I've still enjoyed keeping an eye on the self-publishing world. Putting a toe in it behind the scenes with Matt Sinclair's press, too. The main thing I've concluded is what Crew's outlined above. There's no one right path for everyone. For some, straight-up traditional is the best. For others, indie all the way. And for still others, some variety of a "hybrid" approach. That last seems to be getting increasing traction, particularly in agents and publishers having some flexibility (which they have to if an author wants to go hybrid). If I were ever inclined to write adult novels in addition to my YA stuff—particularly in the genres that perform strongly in the digital arena—I'd likely try going indie with that while staying traditional with my YA. My agent is a kid-lit specialist, and my current publisher is kid-lit only, so my positioning in that regard is probably all right. However, I don't see myself ever having the inclination to write non-YA, so this is entirely hypothetical. Excellent information. Thank you AQCrew and RC Lewis. Thanks for the thoughts, all. I have friends in both traditional and indie, and I agree wholeheartedly. It is a changing world we live in. That was an excellent piece Crew and you hit the proverbial nail on the set with a lot of your points. For me, the self pub route just seemed to be the perfect match. I guess I could have spent months querying the story, hoping to get an agent to bite, then even more months while they pitched it to a publisher, then waited a year to see it in print. In the end, I just decided to throw myself into the self pub pool and do it on my own. I always believed that it was the readers that would determine whether it was good or not. Two books later, and a third on the way, I am glad I did. Only got a chance to skim this, but I loved what I saw. I think Crew hit a home run on these points. In my opinion, the marketing and promotion aspect will continue to be the challenge for many aspiring authors, regardless of whether they go traditional or indie, but it's something that can be learned and always needs to be assessed, tweaked, and retested. Publishing Experience:I am mainly a self-published writer, and looking to break into hybrid publishing. My circumstance is a little different. The first book I knew wasn't going to be as marketing as other books I write. Not based on writing skill, but rather genre. Keeping in mind this was my reasoning at the time, I knew that future books would likely me in a more sell able genre that might more likely peek an agents interest. So I wanted to wait for the trade route till I knew it would have a wider appeal than twelve readers. Of course now in writing second book that's even less marketable, unsure what my route will be. I am trying the hybrid route (with the blessing of my agent). Mainly so that the books that were to be published by my FORMER publisher just don't sit around gathering dust. (Because one book in the series was already pubbed, no trad. house would touch them). I have also put out some adult scifi -- primarily to experiment with self-publishing before I released CROWN OF ICE again, and its sequels. Although I think both choices are equal, in terms of respect, ability to earn money, etc. -- I personally do not like self-publishing. I am experimenting with it, but it isn't something I enjoy, mainly because I am not very good at/don't like marketing and it takes A TON of marketing to succeed in self-pub. I am happy to help with a trad. pub. 's marketing plan, keep up a website, attend conferences and book events, be active on social media, etc. I certainly do NOT expect any trad. pub. to do it all for me. But there is a huge difference between helping your trad. publisher market your book, and doing it all yourself. I am glad I tried the indie pub. route because it did show me the difference, and also showed me where I fit best. BTW, I do have another trad. deal -- just can't announce it yet. But working again in that world has also shown me where I should focus my efforts. I think self-publishing works magnificently for some people, and I whole-heartedly respect it. It's just not for me. (The co-op thing I might continue with -- we'll see). I love that you bumped this thread back into currency, Lucid. I think independent publishing continues to be a great option for writers who can crank things out, especially if they can write very clean copy. The more I learn about publishing, the more I recognize that learning the various steps involved makes you more than just a potentially prolific author, it opens your eyes to the wide variety of options we all have to produce information products associated with our books. mwsinclair, I agree. The more we know, the better we understand the business. It's like anything else -- you have to know what your own strengths and weaknesses are, and sometimes you don't know that until you try. I can write books relatively quickly, and cleanly, BUT... I am not good at self-marketing. It just isn't something I enjoy (at all) and I am not very good at it. But if I hadn't tried, I wouldn't know! I definitely believe in experimenting with different things. My agent encouraged me to attempt to write for a new age group in a new genre and...Voila! MUCH more success than with my original writing genre/age group. (Hopefully I can announce this soon -- waiting on legal to finalize the contract). Truthfully, if I hadn't tried something different, I may not have even wanted to continue writing (at least professionally). So I do believe in exploring and experimenting!! So Lucid Dreamer- Can I ask you a question? You say you are not good at self marketing, and I always hear that unless your stephan king, publishers don't help you with marketing much. Has your experience with getting marketing help in the traditional route been good? Who pays for the marketing when you are trad? On the final part of that question, lots of traditionally published authors receive some marketing support from their publishers. But ultimately, most of us are responsible for the lion's share of our own marketing and pay for it ourselves. This would also include publicity and promotion. It is true that authors still must pay for some promotional/marketing costs, even if they are with a trad. pub. For instance -- swag for giveaways (bookmarks and that sort of thing), books and shipping for giveaway promos the author wants to run, trips to various writing conferences or conventions, etc. BUT... With trad. pub., there is -- bookstore placement (if your pub. does this, most bigger pubs do and even some smaller ones), distribution to libraries, ads provided by the pub. (even as part of a general ad for the pub. listing several books, it does help), getting reviews from the bigger trade reviewers, etc. Sure, some indie authors can do all this, but it can cost. ($400. + for a Kirkus review!) and most indie authors can't afford tables at the larger conventions or conferences, etc. It's the exposure issue, really. Some indie authors are GREAT at this, and somehow get their books noticed, but I find it very difficult. Despite shelling out money for promos and small ads and the like... Doesn't seem to work for me. Maybe I would have to spend much more money and/or time than I can afford to make it work. It isn't a "free ride" with a trad. pub. But, for me, it's a "leg up" in terms of exposure and publicity, even if I am still paying some for additional promotion, etc. I just can't seem to get to the same "awareness to readers" level on my own. But that may just be me. I know many indie authors do great with this. Just not me. Also depends on genre -- it would be different, I think, if I wrote Romance. That seems to sell well for indie authors. Of course they still have to work hard and invest $$, but there seems to be a better chance at a decent Return on Investment, too. It's interesting to me that you didn't feel that you could gain as much traction with self publishing even after the traditional route and already having readers. I would think your readers would follow you and your books no matter what label you publish under. I can see how the help with reviews would be huge. I never thought of that. It's a lot of work to get readers period. I wouldn't mind getting a "two legs up". Sassalota -- There were other circumstances. (Involving former pub.) I hadn't published in a while because of that, and readers quickly forget. Also, first self-pub. was under new penname, due to different age group/genre. Very informative thread. My opinion is that self-publishing a quality book, however, is easier said than done, and requires both a steep learning curve and some investment from your end if you are to do it correctly. You’ll need to invest in editing and design, possibly also in the production of the final ebook files. Finally, you’ll need to learn about marketing long before you actually publish the book. Publishing Experience:James A. Hunter is a best-selling fantasy writer and an active member of SFWA with eighteen books currently under his belt. He’s the author of the Yancy Lazarus Series, Legend of the Treesinger, the litRPG epic Viridian Gate Online, and War God’s Mantle. In addition to writing, James also runs a non-traditional publishing company, Shadow Alley Press, with his wife, Jeanette. Great thread, Crew, and lots of really good info. I think you hit the head on the nail, and I think you offered a fairly balanced perspective. Often times the indie vs. traditional devolves into an us vs. them thing, when really it’s just a question of what is the best possible path for you as a writer and also for each individual title you release. I’ve made about 140K (results not typical, your mileage will almost certainly vary) since I started self-publishing in 2015, and now I get to be one of the privileged few who write full time, which is so incredibly awesome. But I also write/edit/market/network/format 50 hours a week, invest $1,500 per title, and release, on average, four books a year. Self-publishing has been great for me, but it definitely takes a certain kind of person (and a certain kind of book—MG and YA struggle much more than Adult titles) to make it work. And with that said, I’m currently working on a new High Fantasy series that I’m hoping to land an agent with and get a traditional publishing deal for. So this is a question that never goes away, I suppose.